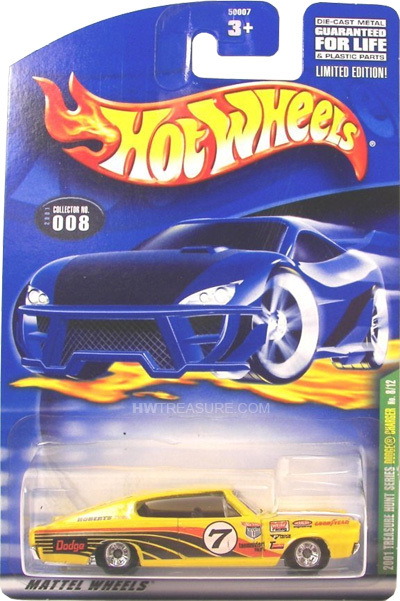 8/12 from the 2001 Treasure Hunt series. 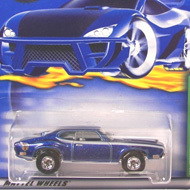 The yellow Charger boasts many graphics including “Dodge”, “Goodyear”, and other logos on the sides and the “7” in a white circle with black and orange graphics on the sides and top. 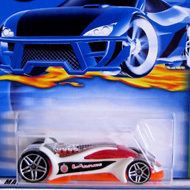 It has clear windows, a black interior, Deep Dish Real Rider wheels, and a chrome Malaysia base.